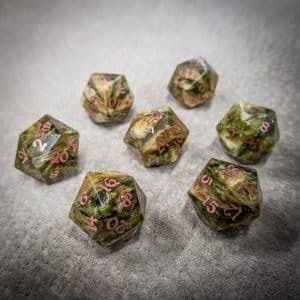 These dice have been crafted from compressed hops then inlaid with copper. Hops was first used in beer sometime during the 9th century. Over the next few hundred years it would almost entirely replace the traditional gruit used to flavor what we now call beer. More on that in a minute because first we must discuss what exactly a hop is. Before the rise of hops, gruit was used to flavor beer, or more aptly named ale. Though we use the name to mean a top fermented beer now, traditionally ales were brewed using gruit, whereas beers were crafted using hops. Hops gained popularity through out medieval Europe in at a slow meandering pace. 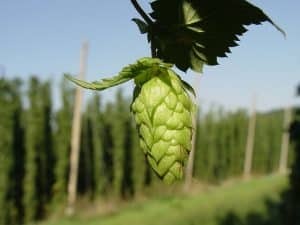 It was aided in large part by German Protestants not wanting to pay the taxes levied on gruit by the Roman Catholic church and the use of hops would later become law in 1516 under the Reinheitsgebot or the German Purity Law. It was later accepted very begrudgingly in Great Britain purely on it’s preservation properties as hops’s anti bacterial nature kept beers from spoiling, though the English were not overly fond of it’s bitter flavor. the death nail in gruit’s coffin occurred in 1710 when Great Britain passed an Act forbidding the use of any bittering agent in beer other than hops. By the mid to late 17th century traditional ales had fallen completely out of favor and beer as we know it today had come to dominate. Each of these dice has been crafted from compressed hops and set in to a crystal clear resin allowing you to see in to the die as the light passes both through and around the fibers of the hops giving these dice a depth and complexity not seen in our other materials. Each die is then inlaid with copper. Does the d20 come in a decorated box? how heavy is the dice ? I mostly play with an all metal set. 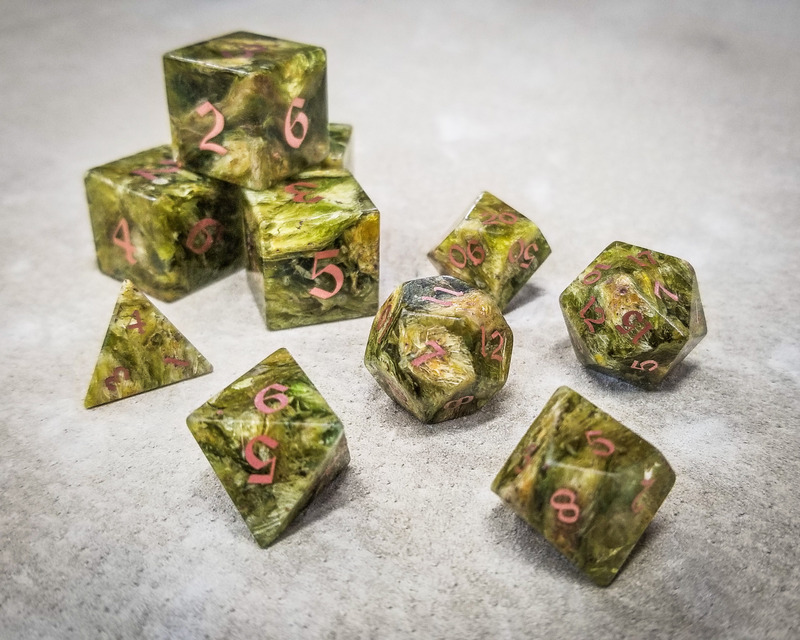 approximately as heavy as a standard set of dice. This is an amazing d20. Both the idea and the execution are brilliant. Numbers are easy to read and it rolls well. A friend bought this for me as a gift, it is by far the most unique die I have. 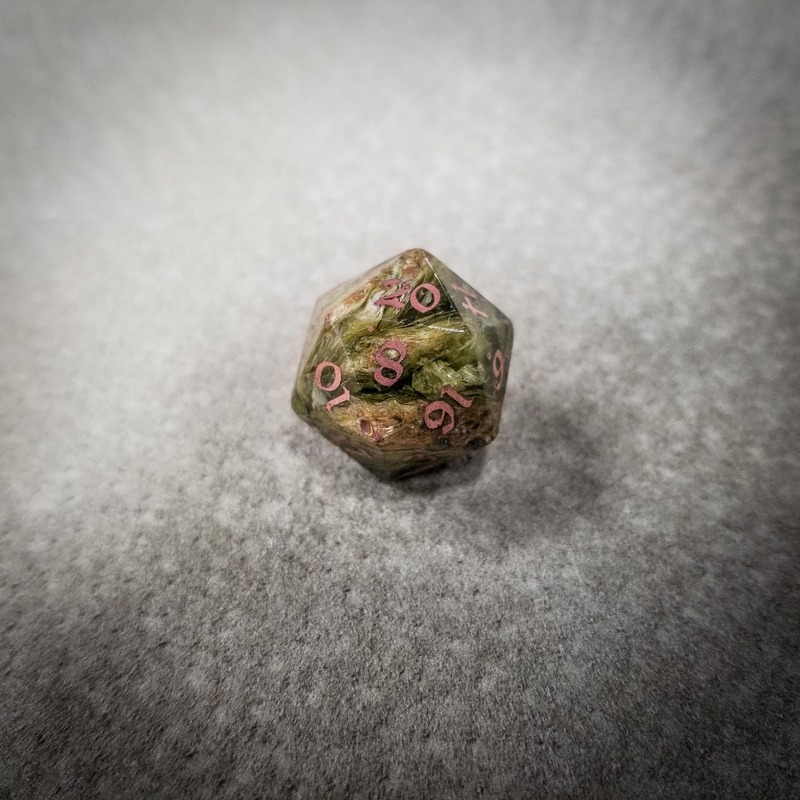 I’ve tossed aside all my other d20’s, including metal and other uniquely crafted dice, to use this one. Absolutely amazing! I got two sets of these. They are very unique interesting. Love everything about them. Will more full sets become available? Very cool idea, but the gold inlay is challenging to read against the hops, at least for my d20. Craftsmanship is excellent, did take 6 months to arrive. Again cool idea just not easy to use while gaming. I was thinking these would be available by now. Can you confirm when they will be ready for ordering ? our next run is currently in production and should be wrapped up sometime next week. Will these be available anytime soon? Looking to get some as my gift to my best man. Would love to know if these will be available again soon. When will these dice become available again? I am looking to get a set and love the design. they are now ready for immediate shipment.